The Camino de Santiago has a more international flavor than ever, as shown by the global data of this 2016 that we are already getting acquainted with. 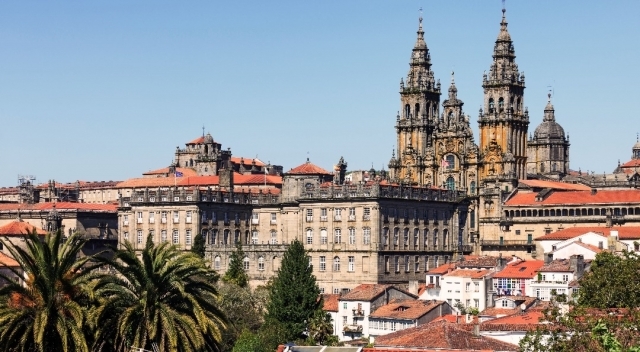 In the absence of just a few days to close the year, until now citizens of up to 147 different countries, according to the Office of the Pilgrim, have arrived at plaza de Obradoiro to collect their compostela. In the global calculation of pilgrims, Spaniards are still by far the majority, but since 2012, foreign pilgrims are already more than half, a percentage that is increasing and in 2015 reached 53.3% of the total. According to data published by La Voz de Galicia and which collect the number of pilgrims until December 6, in 2016 the Italians have been the largest foreign group, contributing 23,874 walkers, followed closely by the Germans, with 21,172. One step below are the Portuguese, who so far contribute 13,169 pilgrims and well below the French citizens, of whom 8,831 have arrived in Santiago this year. In America the appeal of the Camino de Santiago has moved 15,203 Americans, 4,352 Canadians and 2,322 Mexicans to make a long trip across the Atlantic, as have also 4,323 Brazilians or 2,042 Argentines. In Asia, Koreans are by far the most pilgrims who have contributed for some years, in 2016 with 4,453 travelers, followed very far by the 1,440 Japanese who have arrived in Santiago. 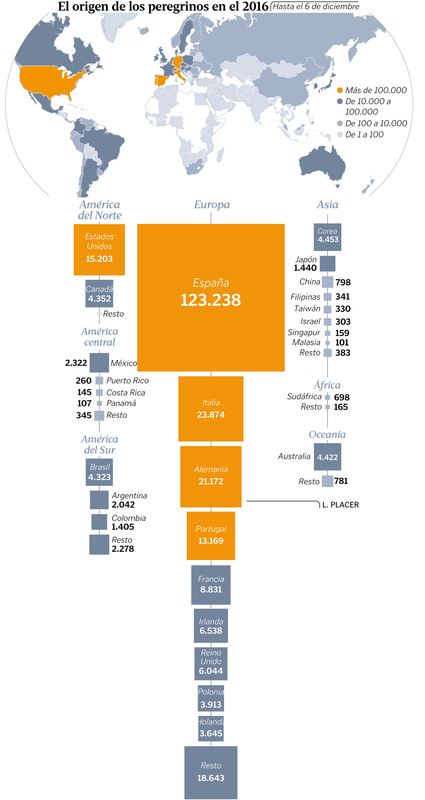 From Antipodes of Spain, tens of thousands of kilometers, 4,422 Australians have been displaced, a figure also impressive.